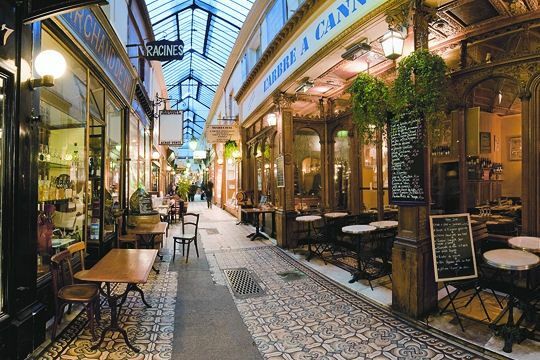 The Passage traditionally re-opens with a post on pearls—like a glass of champagne, a predictably fizzy pleasure. 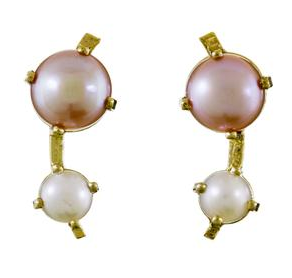 Modern pearls are not an oxymoron. 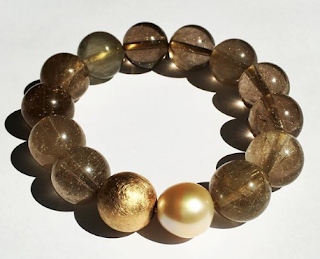 Young designers are drawn to them because while pearls add allure, they also integrate well with pieces you already own. 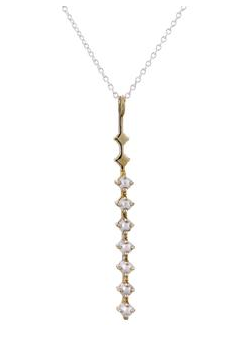 Aesa's Rivulets pearl pendant presents seven 3mm pearls set in brass on a 24-inch silver chain. Layered or on its own, a current, quiet beauty; price, $310. Many pieces in the Passage's windows today might inspire you to update pearls you're not wearing, using a design you see here as inspiration. But sometimes, the piece of your dreams has already been made— so the smart thing is to take the leap, and wear the daylights out of it. Another spot-on post as I've been thinking for a while of combining my too-small pearls with other stones in some way. The necklace you show is a great inspiration, the idea would work for a bracelet as well. Thank you for all your lovely posts, I've learned so much from you and your community of readers. Your work is appreciated. Welcome back, Duchesse! Once again you've found some unique and gorgeous pieces. I'd wear that lariat necklace in a heartbeat. So glad you're back from your (hopefully delightful) break! It's more like Montreal than Annapolis outside today, with snow falling and temperatures following right behind. Yesterday, I took your advice and wore 3 strands of pearls, a la Chanel, as the beautiful, but small, strand I inherited with my mother's passing after Thanksgiving looked too sad and wan. I am sure she (both Coco and my mom) would have approved! 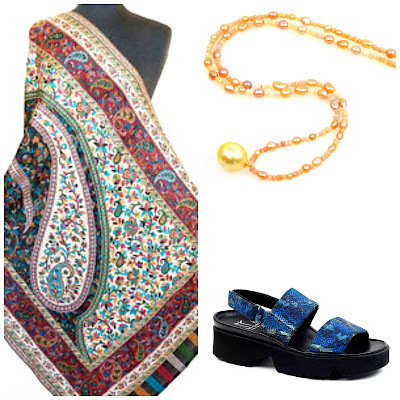 I quite like the rivulet necklace and can see it on a younger woman. 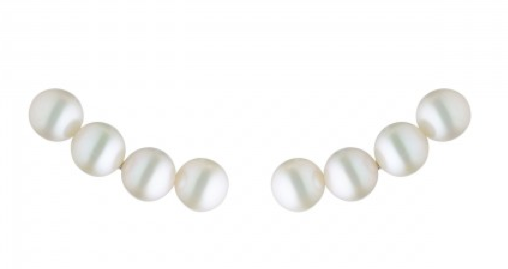 Pearls can be worn in so many different ways...and I like them paired with diamonds. Welcome back. 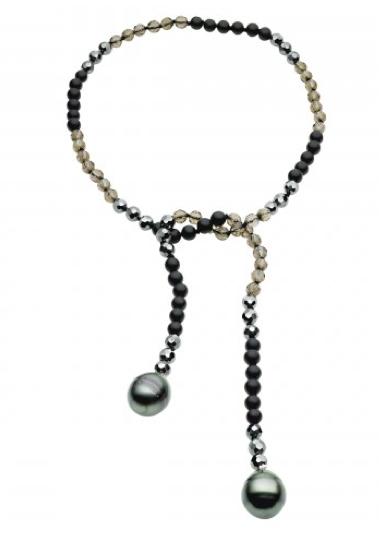 I would definitely choose the bola as I love the Tahitian pearls. Just beautiful. My favorite? The bola! 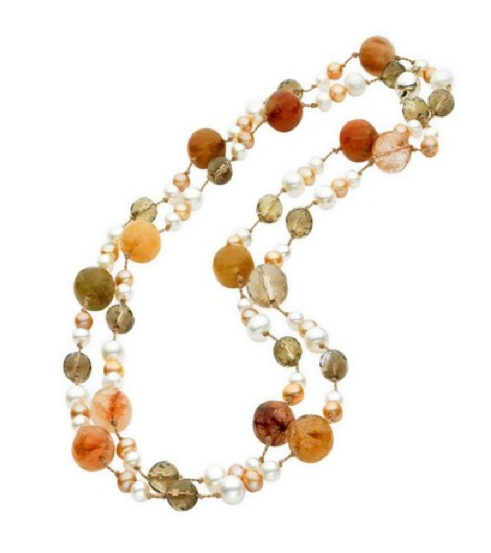 LauraH: A reader sent me an e-mail to say she had restrung her small pearls with emerald beads... perhaps she will show us. Pseu. Mme.L-b and LPC: Maybe you could time-share! It may be chilly for Annapolis but I doubt you are walking on 2 inches of glare ice as we are here. Some sidewalks have grit or salt on them but it's still absolutely treacherous underfoot. Best wishes for 2015. I can't get enough pearls, but if I'd have to choose one from your lovely collection, it would be the bola or lariat designs. If your earrings are in good shape but you don't want to reno, then do pass them on, if not to a niece, to some other wonderful young woman. That pear and quartz necklace is very pretty. 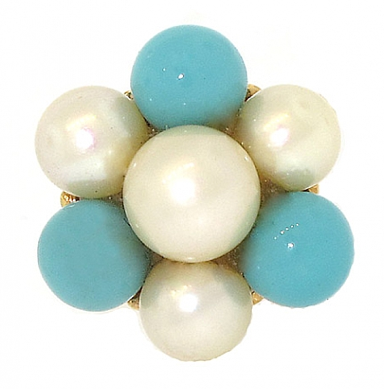 The pearl and turquoise ring is really eye-catching, too. You show such beautiful pearls here on your post. I love seeing them. They're in great shape, so I will do a renovation at some point. Thanks for the ideas. So glad you enjoyed the link Duchesse! Welcome back and thanks for another great post.